Centrally located is fully equipped and furnished,deck with great mountain view,open plan kitchen/lounge,log fire (wood supplied), sleeps 6-12. Duvet and Pillows on ea bed. Guests require own linen,sheets,blankets/sleeping bags and towels. Condenser Dryer provided. Sky TV. Wifi. Clear lodge by 12pm on last day. Guests are to clean-up and leave lodge clean and tidy or a cleaning fee will be deducted from or non-refund of the bond. Bond refunded if lodge left tidy,clean and undamaged. Summer Rates: $150 nightly-minimum stay is 2 nights. Maadi Gras weekend-3 night stay. References (on request), deposit, bond and rent are required in advance. No Tents, Motorhomes or additional overnight guests without prior permission. ASK about our 7 night stay rate. Bath mats supplied. Hand towels supplied. Bring own bath towels. Lodge is set in the town centre. Heaters provided, log fire heats up in no time. House is generally warm. Pillows c/w slips. Duvets and mattress covers. Bring own sheets. Condenser drier provided in garage. Heaps of off road parking, fenced and gate. Single garage for use and security of ski gear etc. Ski gear to borrow. Kids magnetic darts. Table soccer game for the rainy day. Swing ball and building blocks.Barbecue. Hand towels provided only in bathroom. Tea towels for dishes provided. Heaps of space and seating. Has all dishes plus one pantry to put food for storage. Dishwasher, stove, microwave, Fridge, all cutlery available, very large dining table seats 8 pers, lots of space here. Open plan kitchen, dining and lounge. Very large table seats 8 pers. Range of sporting books. Range of Local knowledge books. Plenty of space for kids and secure. Decking front and rear of house. Carport straight off rear deck. Limited gear in garage available to use. Ask about our 7 night stay rates. Great location with lots of room for everyone. Awesome house - so lovely & warm. Very convenient to town. Suited our 3 families of 12 perfectly. Would highly recommend this house to anyone. 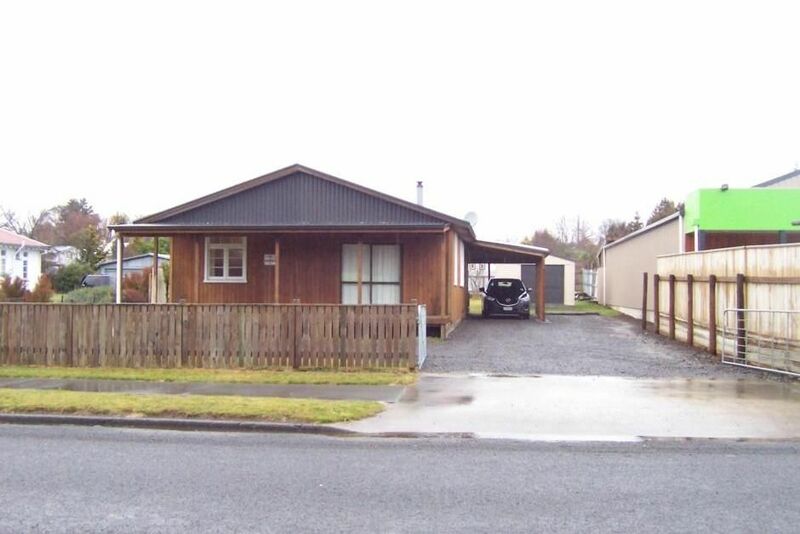 Location right in the middle of Ohakune central. Property great for skiing. No separate dying room but ski gear dried well around the fire. We found drying racks in the garage. Excellent location. Great property to fit us all, fully fenced. Loved the showers and the foosball table. Very warm. What an amazing location, walking distance to the shuttles for Turoa, walking distance to township and parks, honestly this couldn't be a better location. The ability to use some of the gear was so cool. It was warm and dry and very clean. We loved every minute of our stay there. Great place to stay! Excellent location, walking distance to everything. Great place to stay! Excellent location, walking distance to everything. Property was perfect for two families, with spacious living & dining areas. Clean, tidy & warm! Already planning the next trip!